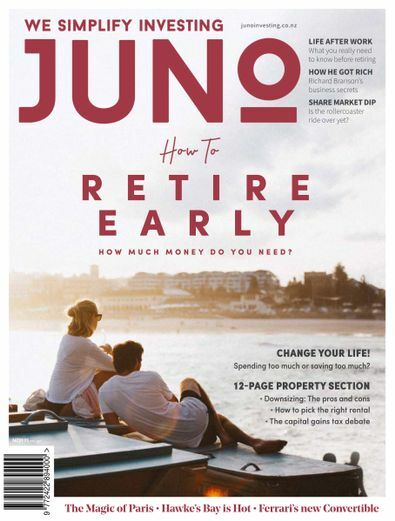 JUNO investing magazine is a New Zealand luxury investment and lifestyle magazine which explains in plain English your financial options and how to build wealth. • Would you like to retire early? If you would, then investing is your key to a fantastic future. • Virgin entrepreneur Richard Branson explains the secrets of his success. • Considered property investments? Check out JUNO’s 12-page Property section for tips on how to buy your first property. • Visit the Paris of Amelie. • Ferrari’s new Portofino convertible. • Business is booming in Hawke’s Bay. • Check out JUNO’s Market Insights section for the sophisticated investor. Juno is a wonderful magazine I have ever read. It has given financial knowledge to me. I start subscribe because Juno has been sold out from retailers, I free a little bit upset when I miss one of latest issue.